In 2003 Monument Crisis Center initiated an after-school tutoring program for children between the ages of 5 through 12. The idea was sparked from a staff member who noticed the need for the children in our community to have a space where they could receive homework assistance and mentorship from high school and college students in the area. Based on the need, a formal tutoring program was created. Please apply if you would like to be an After School Cafe tutor. The program is held every Wednesday and Thursday afternoon during the school year. Teens from local high schools such as De La Salle, Carondelet, College Park, and Ygnacio Valley volunteer as tutors to help the children in our community with homework. The tutoring program has proven to be beneficial for everyone involved; the children receive assistance with their homework and build relationships with positive role models, while the teens learn about responsibility and about the needs of their community in their volunteer role. Hours of Operation: Wednesdays and Thursdays, 3:00pm-4:30pm (vacation breaks are observed). Fall semester: September-November. Spring semester: January-May. Enrollment in the program occurs twice during the School Year in August and January for both tutors and students. It's almost time for a new semester of our tutoring program! After School Cafe will begin on Wednesday, January 23 and run from 3:00pm-4:30pm every Wednesday and Thursday of the school year, holidays excepted. For questions regarding this program please contact our After School Café Coordinator at [email protected] . The Monument Crisis Teen Center provides middle school students with a safe environment in which they can interact with both peers and college-age mentors. This program will seek to give the students a safe, supportive, and nurturing place to go after school. The Teen Center is held every Wednesday and Thursday during the school year, holidays excepted. During the summer, Monument Crisis Center runs a seven-week summer camp for children ages 5 through 12. Three staff members and twenty teen counselors conduct the program, giving our children an opportunity to exercise their minds and bodies, in addition to learning new skills with older peer role models. 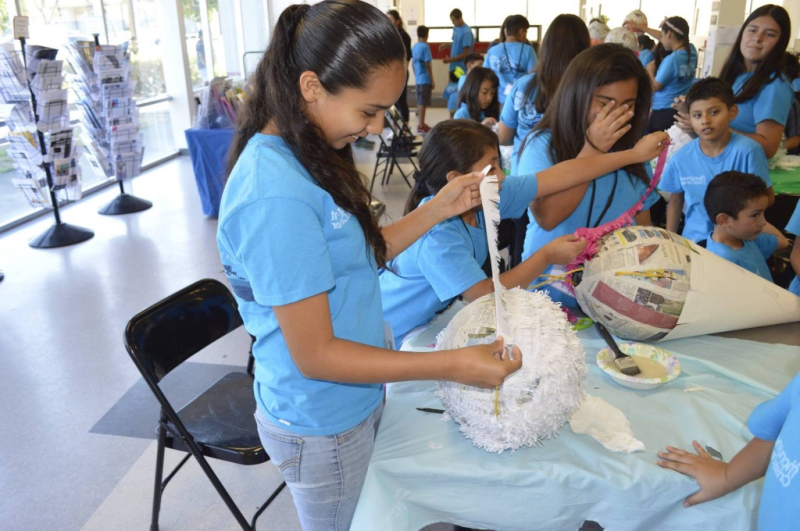 Camp activities include field trips, games in the park, a week-long education program at East Bay Regional Parks, and a variety of additional activities. In a neighborhood with very few parks and even fewer yards, this program provides the children with a safe environment to play and learn. Hours of Operation: Schedule varies; please contact [email protected] for more details. Celebration of Promise was an exhibition in celebration of the Center’s youth in partnership with undergraduate students from the Justice, Community, and Leadership Program of Saint Mary’s College of California of Moraga. 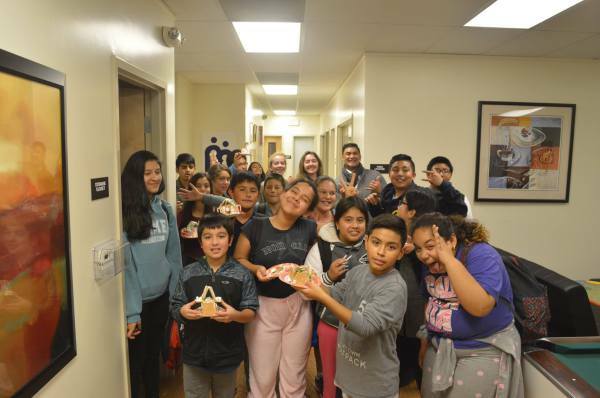 The event showcased the efforts and talents of the center’s dynamic young clients with the After School Cafe and Teen Program while also raising awareness of the needs of underserved youth in the Contra Costa County.